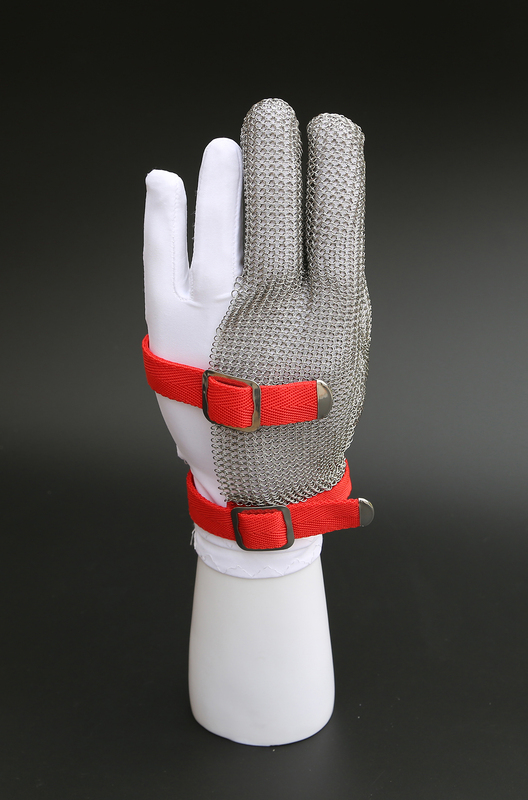 Three Fingers Steel Mesh Gloves are those designed to protect the wearer's hands from cuts while working with sharp tools. Three Fingers Steel Mesh Gloves are a form of chainmail mesh gloves, and are made of individually welded rings of stainless steel. They are typically used in food applications, meat processing and glass or leather processing industry and garments factory. 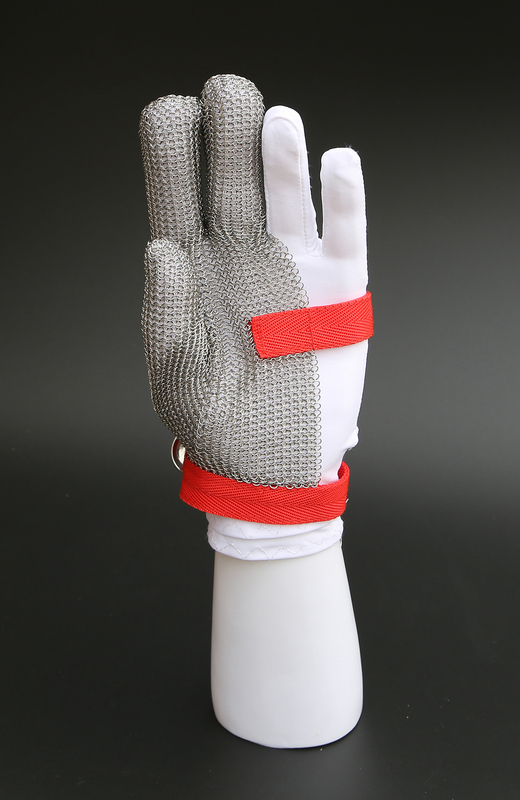 Three fingers steel mesh gloves offer a great protection for boning operations, cutting operations with hand knives or motorized knives and scissors. 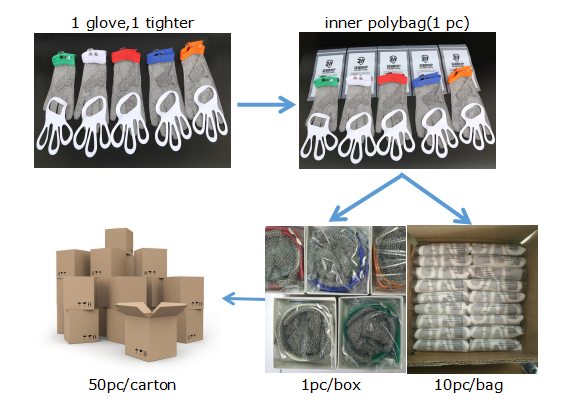 For Three Fingers Steel Mesh Gloves, normally 1 piece glove will accompany with 1 piece tighter.